mwe3: How have things been in Denmark? By the way, I did hear from you that your good friend and famous Polish artist Ireneusz passed away in Copenhagen. 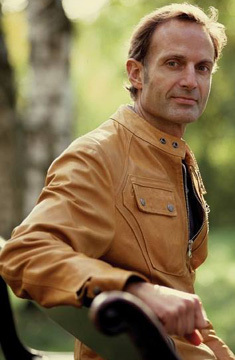 Henrik Hytteballe: Yes, Ireneusz Cyranek just passed away. It is a loss. He was a good friend and an excellent photographer. I have been using his photos for all my albums except for Nebula. He was too weak to even carry a camera. But he followed the process and was the first person, whom I shared the final mixes with. I will miss him a lot. 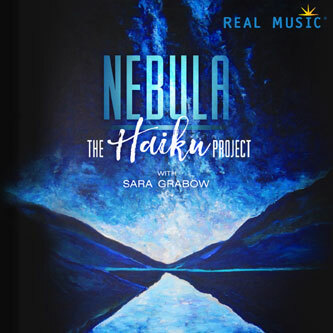 mwe3: How did you meet up with Sara Grabow and how did that lead to her working with you on the new Haiku Project album Nebula? Is Sara also a recording artist? It is interesting that Saras children responded to your music to help them calm them down before sleep. it is just Sara and her guitar and the songs are wonderful. mwe3: What does the word Nebula mean to you and in this case, how does it apply to your music? Nebula as in interstellar space right? Nebulous can mean hazy or foggy too. Are there multiple meanings in the title? You say Nebula is about how we are here and you also say your next album Coexistence is about why we are here. Are the two concepts interconnected? Henrik Hytteballe: Nebula is an interstellar cloud of dust and gases. It can be the birthplace of stars and, apart from being very fascinated by the huge universe, myself, Nebula as the title of the album is a symbol of where we all come from and that we are all part of the universe. Some scientists say we are born of stars. 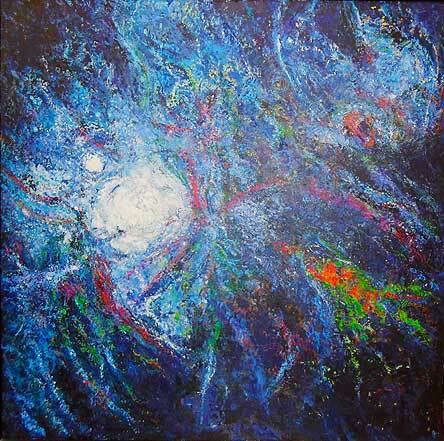 Nebula is my tribute to our amazing world. There are so many glorious wonders happening each single day. We need to change the way we are treating the earth. Greed has caused so many disasters and how we behave is destroying our planet. That is why we have to find out why we are here. Reflecting on this question I hope we will save our planet and stop slaughtering humans and animals. The answers to the why should raise our moral and ethics. We must see that giving is not losing, but instead it is adding to the whole. By sharing we will all have so much more and everyone will have enough. what about that book made a big impression on you? Henrik Hytteballe: Nebula is one of the wonders of the Universe. With my music I hope to raise the look above daily life to the exploration and appreciation of the beauty on earth. For me, personal making music is something that gives me a meaning in life. Victor Frankels book Mans Search For Meaning is a fantastic book. He writes about his three years in a Nazi concentration camp, where he noticed that only one out of twenty persons survived and wanted to find out what it was that made these persons survive. He found that without seeing the meaning of life, you succumb. Many people in modern society dont see the meaning of life. They spend time on superficial activities and their discontent just increases. From this comes a lot of anger and fear, and if your life is controlled by fear it is an unhappy life and you become a victim instead of seeing the possibilities and wonders in life. mwe3: You also speak in the Nebula liner notes about your accident several years back. How are you dealing with the pain and physical issues and is making New Age music kind of therapy for you as you work through your physical pain? What else can you tell us about your car accident some years ago? Would you say the mental anguish from being in a car accident has something to do with your music and the temporal nature of our existence and the suffering we must endure as humans? on the contrary it increases as I get older, so today, three to five days a week, I have such pain that I cannot do anything. I dont have much social life anymore as I am too exhausted to go out in the night. So it is of great importance for me, when I am able to, to do things that are important to me and that is painting and making music and being surrounded by my loved ones. So finding the meaning in my life has become so vital to avoid being sad about my condition. My situation has a big influence on my music as I find peace in what I am doing. Due to my condition I am no longer able to play live concerts, so I have become a recording artist and this kind of music that I am doing is a kind of self-healing and is definitely my way of expressing my thinking. I want my music to be reflective and inspiring as well as being a sanctuary. mwe3: Tell us about the cover art for Nebula. I see it has one of your paintings too. How about the painting on the inside of the booklet? (see inside cover picture at right) Its amazing and kind of Marc Chagall inspired. What is new in your life as a painter and are you planning any exhibits in Europe or in the US or North America again? Henrik Hytteballe: Yes both the cover art and the inside painting are mine. Thank you for the comparison with the great artist Chagall, whom I admire a lot for his skills and imagination. I am far from his level, but practicing to become a better artist. I celebrated the release of Nebula in combination with the opening of a new exhibition at a gallery in central Copenhagen. It was amazing how many people came and I am grateful for the huge support. Both the cover and the inside painting have been sold. So I am adding a bit of the space to peoples living rooms! I made the inner sleeve painting as a cover painting, but found that it worked better with the one chosen as it is simpler and has a stronger graphic identity, which is necessary as the cover is mostly seen as a small thumbnail on the internet. I would love to exhibit outside Denmark. Being in New York was a fantastic experience but it is expensive transporting paintings on long distances. If the costs are covered, I will go for it! mwe3: Tell us about Saras lyrics in track two, Breeze. What is the message in that song and what about some of Saras other song lyrics as it applies to the track? The song has almost a fairy tale like sound to it. Henrik Hytteballe: Breeze is a fable about the seasons. The lyrics just names the four seasons in Danish: winter, spring, summer and autumn. My idea with this track was to illustrate the cycle of life in form of a leaf, starting with the small budding before winter, the coming into a leaf in spring, growing during summer, the turbulence in an autumn storm and then falling to ground and becoming part of the soil. mwe3: Are the tracks on Nebula interconnected in some ways? Seems like that just from looking at the titles. Creation is just that. It almost sound like things are being conjured in the heavens with Saras vocals really complimenting your music. Creation has some incredible string like effects on it. Are they all synth created? Henrik Hytteballe: Yes the songs are interconnected as the whole album is about the elements. Thank you for your nice words on Creation. Though the lyrics are in Danish, you know exactly what the song is about. I think love is the strongest power of creation. And that is what Creation is about. I agree that Sara does a wonderful job with her voice weaving in an out of the music. And yes all strings are played on keyboards, but I have spent a lot of time making them sound almost like real strings. mwe3: Glow is a real highlight on Nebula. What do the lyrics speak about? Sounds like Sara is singing in Danish. Sounds like one of the more upbeat Nebula tracks. Henrik Hytteballe: Sara wrote the lyrics for her 4 year old daughter. It is about seeing her hit by sunlight and seeing her face full of joy and resting peacefully. Glow is more upbeat and less meditative than some of the other tracks. It has an ongoing beat and a repetitive pattern plus a collision of 3/4 and 4/4 rhythm which I quite like. mwe3: What can you tell us about the Nebula track Earth and how does it fit into the concept of the album? Its another cool track with Saras vocals. Henrik Hytteballe: Earth is one of the four elements. With all the complexity and power on our earth, it had to be described with more energetic music with a base of drums and electronic beats. The main theme is quite folk-orientated to illustrate something of origin. Then I have added various sounds illustrating the multiplying life on earth and beneath the soil. The electronic beats are to illustrate life on earth and some ethereal, spacey sounds to make the sky above us. And again it is great to have the voice of Sara on top of it all. mwe3: Water continues the elements theme on Nebula. What is that amazing keyboard effect that you use in the track? Sounds like its a volume pedal controlling the synth sound. Amazing indeed. Is Saras voice used like a synth there? I know its strange but it kind of has a slight Pekka Pohjola effect on it. Maybe its just the ghostly effect. I hope you believe in ghosts. I used to listen to him a lot in the 1970s. 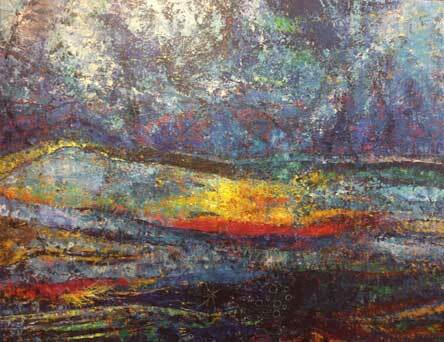 I made the composition thinking of ebb and flow, waves and the movement of water in brooks, rivers and seas. Sara does not sing on Water, rather it is a sound from Omnisphere library that I have manipulated. mwe3: How about track seven Rain. It has a kind of hypnotic feel like the rain does. Is Rain more stark then the other Nebula tracks? Something is hidden in the rain right? Its almost like a veil of tears. Henrik Hytteballe: Rain is ambiguous. I made it as symbol of purification. I am inspired by the works of a video artist Bill Viola, who always works with man and water. In the last work I saw by him the liquid looked both like water, milk and blood. I see his works as illustrations of death and life and rebirth. My music is an attempt to show both the cleansing and life giving of rain along with its capability of creating damaging floods. So your veil of tears shows me that you have given the track a careful listening, which really pleases me. I think it is a stark track, which is why I have asked a young photographer to do a video for Rain. mwe3: What is the 5th Element you speak of in track 8? Peter Kater and Terrence of Real Music came up with the idea for his album, that the fifth element was a type of ether, conjuring the ethereal or the cosmos? Would you agree that track does have a kind etherealness about it? Saras vocal also has a kind of etherealness about it. mwe3: Wind even has the wind sound on it. Is wind considered an element? What other effects are on that track? Does it sound menacing at all to you? They call hurricanes a wind event. Amazing how much damage wind can do yet they can also power turbines and windmills so its a two-sided coin to be sure. Henrik Hytteballe: Wind is not an element, but it is not easy to illustrate air. Describing wind is much easier. You are so right that the wind can be a destructive power. Just look at Puerto Rico, where people are still suffering the effects of the Hurricane Maria. Now six weeks after they still have no electricity and many people are still without a home. But without the air that we breathe, we cannot live. As a practitioner of yoga during many years, I know the importance of a healthy breath. And as you mention we get a lot of energy by using the power from wind. In Denmark more than forty percent of our energy comes from windmills. mwe3: Fire And Water is a great way to end the Nebula CD. What can you tell us about Saras lyrics and also something about that track overall? Why do you end the album with that track? Its a very full-bodied track with some hypnotic percussion and, of course Saras vocal is superb on it. the dualism in the world. Fire And Water is really a rock song, so I think it is a strong way of ending an album about the elements. mwe3: You mentioned the Coexistence album might be your next venture into recording? What else can you tell us about that album in its early planning stages? Henrik Hytteballe: I am quite far in the process of making the next album. It will be more similar to flow with two long tracks suited for yoga and meditation. Sara shall sing, without words, on one track and on the other I work together with a guitarist, playing both acoustic and sparse electric guitar. I do hope to include a classical bass player and another guitarist on other tracks. Coexistence is about the big question of why are we here? I am sure there are a lot of answers we will never find, but I am convinced that we were not meant to destroy the earth and mistreat humans and animals. We must stop being greedy and find a way to peaceful coexistence with all living creatures instead of feeding the ego. We as humans must learn to accept that we are part of nature and so are all other living creatures. It is insane that elephants are being slaughtered just because people want the ivory for decoration. The respect for other all other living species is crucial for our way of living together. That is something to wish for in the new year.